Making its debut at the 2010 Geneva Motor Show, the Nissan Juke sports a unique and innovative front-end design and swooping roofline. The Nissan Juke was one of the originators of the sports-compact-crossover segment, featuring a relatively small footprint and a focus on driving fun rather than off-road ability. 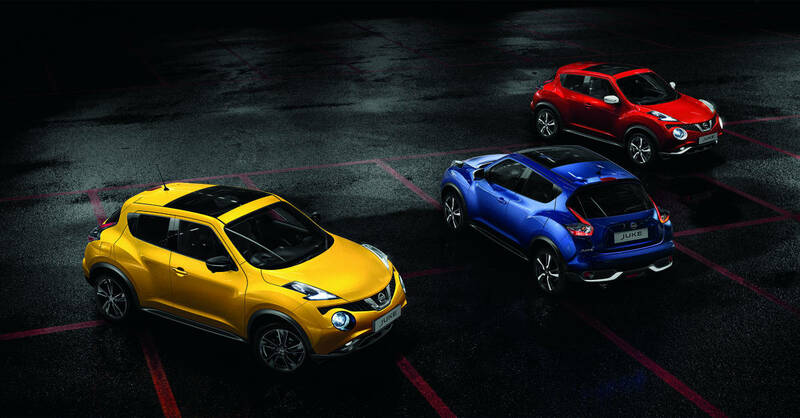 The Juke slots below the Qashqai and X-Trail in Nissan’s impressive line-up. The Nissan Juke was a real trendsetter when it was first launched in production form in 2011. 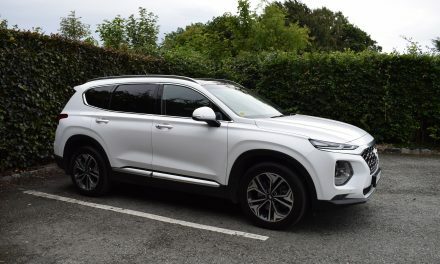 Here was a car the size of a small hatchback, but with the pumped-up stance of a 4x4 and smart styling that made it stand out from the crowd. It was just what buyers wanted, and became an immediate success for Nissan. Since then rival manufacturers have been keen to get a slice of the Nissan Juke pie. 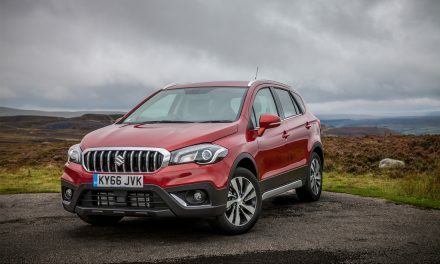 The Juke spawned a host of rivals including the Renault Captur, Mazda CX-3, Citroen C4 Cactus, Opel Mokka, Peugeot 2008, Suzuki Vitara and Ssangyong Tivoli. 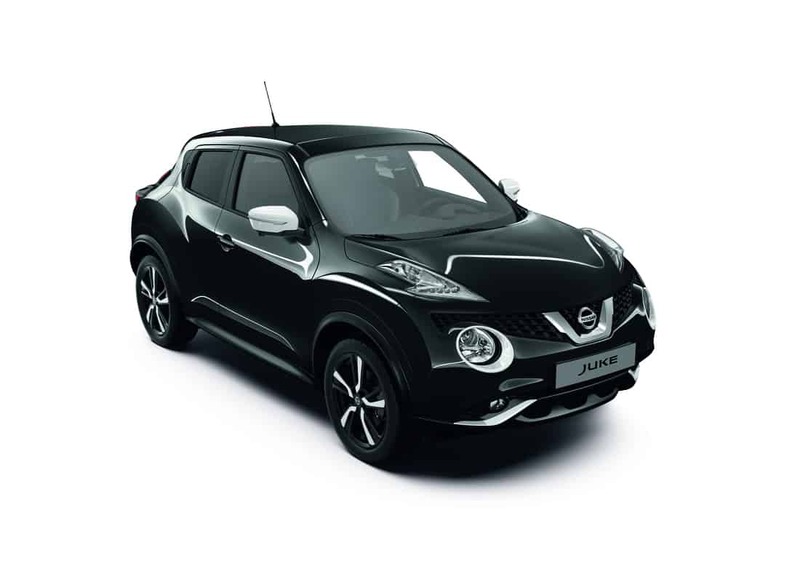 The Nissan Juke underwent a mid-life upgrade in 2014, bringing with it revised styling, more efficient engines and enhanced technology. Four specification levels are available in the Nissan Juke – XE, SV, SV-Premium and the range-topping SVE. 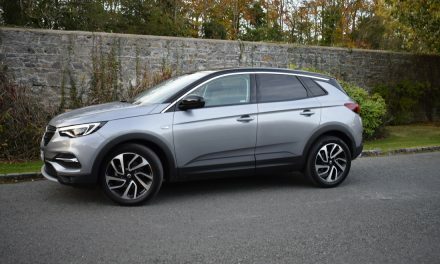 My test car this week is an SV model (priced at €21,445 ex-works) fitted with a super-economical 6-speed, 1.5-litre turbo diesel engine – capable of fuel consumption as low as 4.0litres/100km on an extra-urban driving cycle. 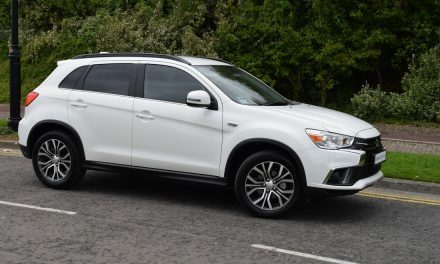 This superb engine produces 110bhp and 260Nm of torque, providing swift acceleration and excellent towing capacity (up to 1250kg) for a car of its size. The 0-100km/h sprint can be completed in just 11.2 seconds, while a top speed of 175km/h is possible – where permitted. Low co2 emissions of 104g/km leads to annual road tax of just €190. Two petrol engines (a 1.2-litre and a 1.6-litre) are also available in the Nissan Juke. Standard specification in my test car included 6 airbags, ABS & EBD & VDC, remote central locking, ISOFIX child seat anchorage points on 2 outer seats, CD player with 4 speakers, drive computer, tyre pressure monitoring system, AUX & USB sockets, automatic air-conditioning, cruise control with speed limiter, Bluetooth & audio streaming, multi-function leather steering wheel, boot storage box, four electric windows, front arm-rest, 60:40 split rear seats, 17” alloy wheels, privacy glass, front fog lights, LED daytime driving lights and colour-coded bumpers & door mirrors. The interior of the Nissan Juke is equally as impressive as the exterior, with a painted centre console (that was apparently inspired by a motorbike fuel tank) running between the driver and front passenger. Overall, the Nissan Juke is a great choice for those looking for a fun-to-drive small crossover that is very easy on the pocket. 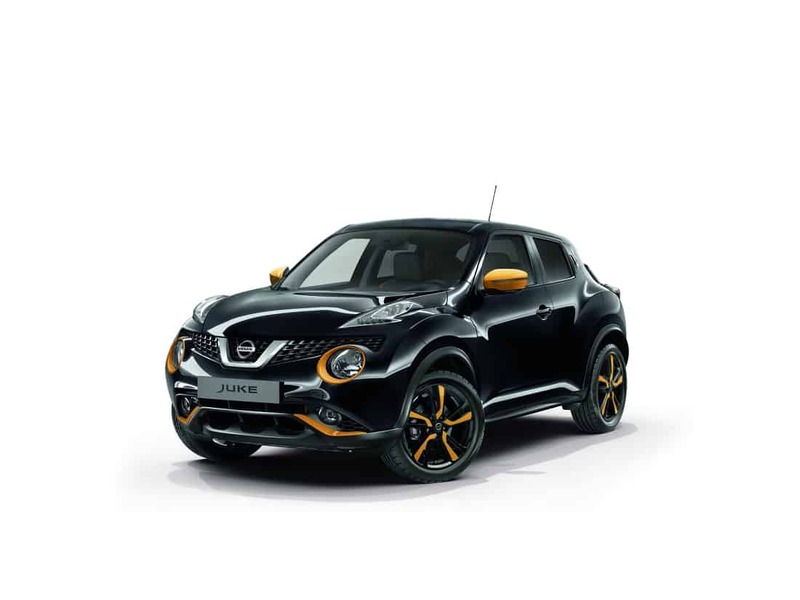 Ten exterior colours are available, along with a raft of personalization options in order to make your Nissan Juke as individual as you are.